Calling this a mountain is like calling a sunfish a blue whale. 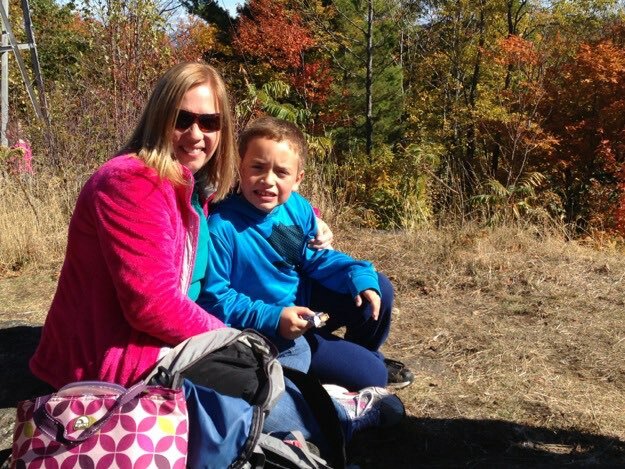 The hike is incredibly short, and is hardly any challenge whatsoever, but it’s perfect for families with little kids, because it offers arguably the most bang-for-the-buck of any hike in the Adirondacks. Seriously. 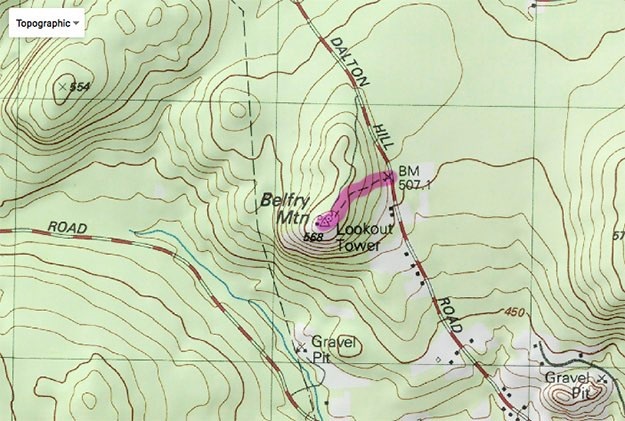 The “trail” is technically a service road for the communication towers on the mountain, and requires a short 0.35 miles to get to the summit, which is 1,840 feet high. The vertical gain is a nearly-flat 137 feet! The summit has many bare spots, and therefore has a good view. 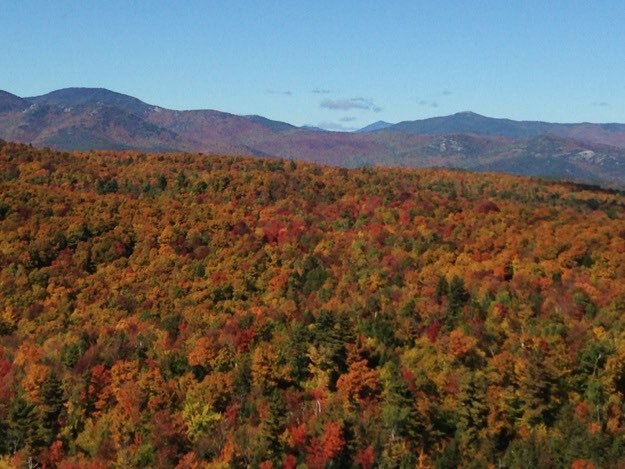 That view becomes an excellent view, if you hike to the top of the fire tower at the summit. 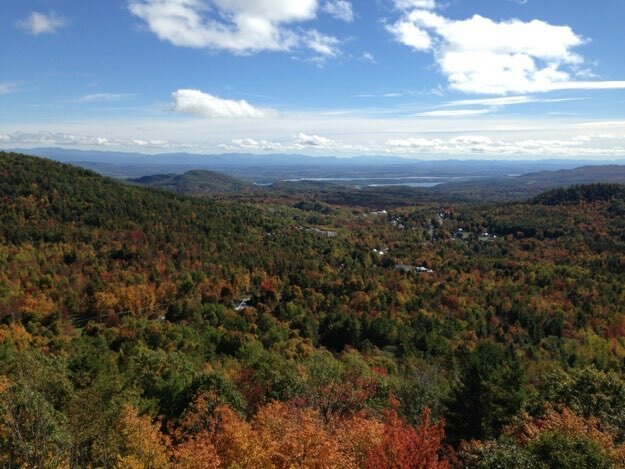 You can see much of the eastern high peaks region, and across Lake Champlain into the Green Mountains of Vermont. 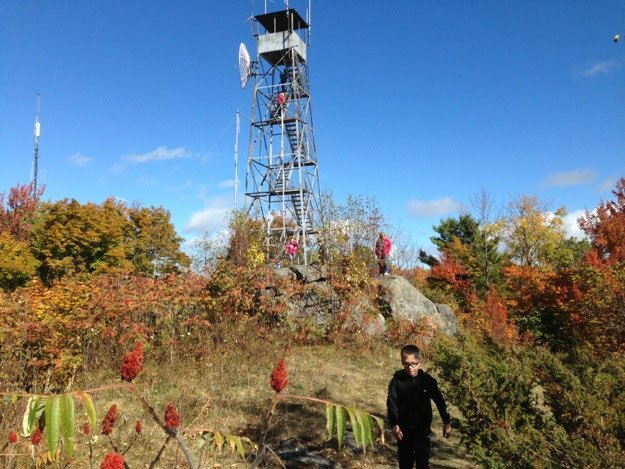 The working fire tower is one of the towers in the ADK Fire Tower Challenge, incidentally. The view eastward from the fire tower. You can see Lake Champlain, and the Green mountains in Vermont. 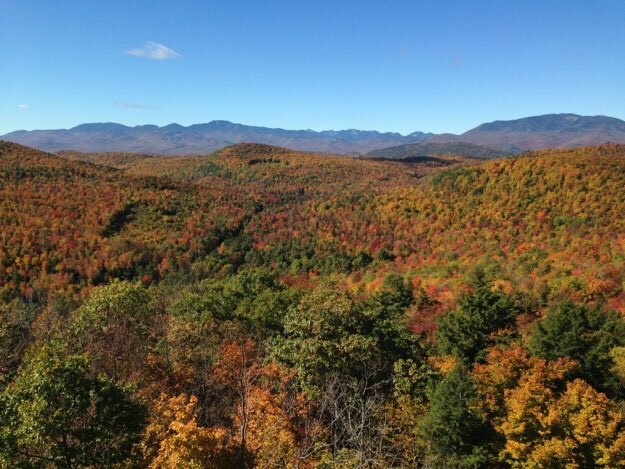 The view westward from the fire tower to the distant eastern side of the Adirondack high peaks are visible above the yellow and orange forests. 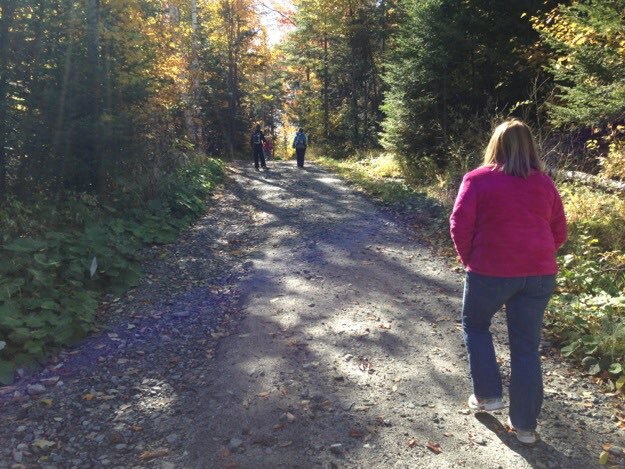 With the trail being a nearly flat service road, there’s no way to get lost on this hike. 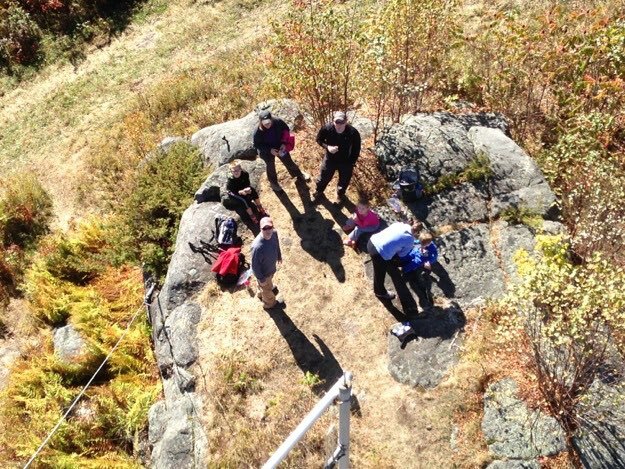 Our friends eating a snack a the base of the fire tower, below. 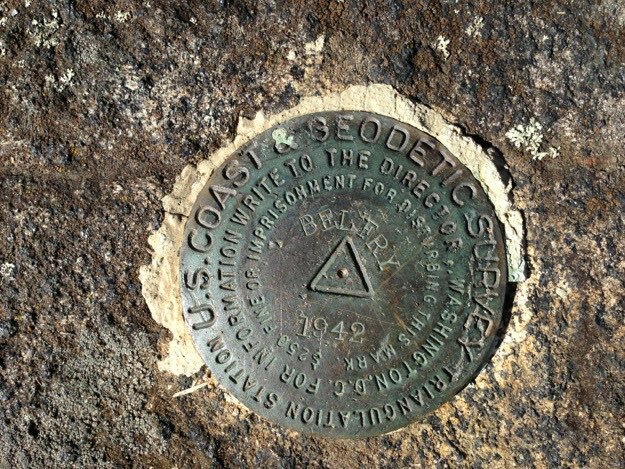 It is a real, honest-to-goodness mountain; for it has a summit marker! Jen and Alex soaking up the autumn sun. 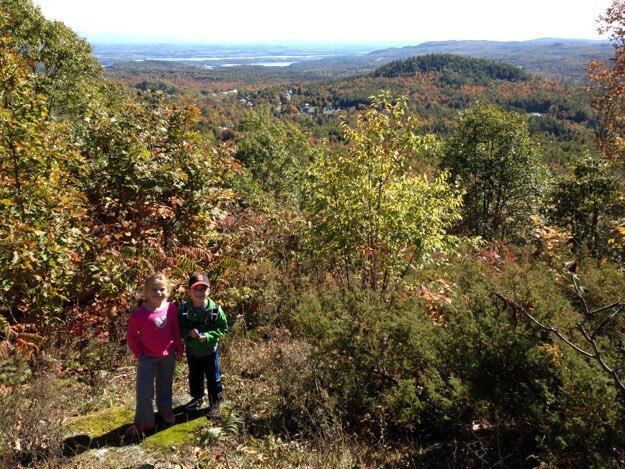 Lexi and Nate pose for their picture, with Lake Champlain and the Champlain valley behind. A view of the summit area and fire tower.